A post-earthquake renovation gives a grand home a second chance. A Southern California town with a bungalow heritage. Portland’s Street of Dreams — bungalow style. Two families call Wright’s architecture home. A country bungalow where every dollar counts. Stick-to-your-ribs fare from Marston’s Restaurant. A new column on historical paint schemes. The Portland trailblazer helped turned the Pacific Northwest on to Arts & Crafts. 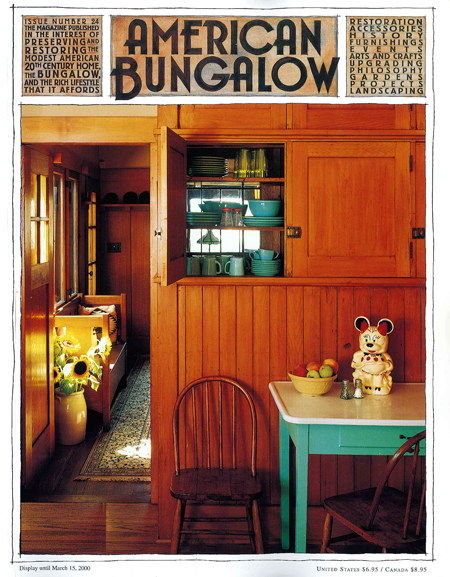 The special qualities of a bungalow hideaway.